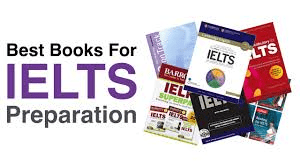 Home IELTS General Writing Task 1 Model Answer: Letter of instruction and information to friends. You have invited some friends to come on holiday. You are going to the airport to meet them. They have asked you how to get to your house from the airport. I am writing to let you all know that I will personally come to the airport to welcome the three of you to Dubai; therefore, there is no need to have directions from the airport to my place. I will be waiting at the North gate since the three of you will be flying on the same flight from Amsterdam. I have planned things that we all can do together during your visit. First, we can go to ‘Dubai Mall’ which is the largest shopping complex in the world; in addition, we can have a glimpse of the tallest skyscraper ‘Burj Khalifa Tower’. Moreover, I will take the three of you to ‘The Palm Islands;’ it has exotic hotels, posh villas, cafes on the beach, et cetera. Also, I want to mention two important things. If possible, please bring formal attire as some places have strict dress code here. Secondly, most items cost less in Dubai than Europe because there is no sales tax on goods. In the meantime, please do let me know if I can provide any additional information. IELTS Writing Task 2 Model Answer: too much time is spent on learning facts and not enough on learning practical skills. Agree or Disagree?IELTS Writing Task 2 Model Answer: More and more people prefer to read ebooks rather than paper books.